(from Deutsche Welle) – Austrian Chancellor Sebastian Kurz on (December 23) said the EU should consider other ways to tackle migration crises and formally end “failed” attempts at redistributing migrants across the EU under a quota system. “Forcing states to take refugees doesn’t take Europe any further. The discussion makes no sense,” Kurz told the Saturday edition of Berlin-based newspaper Bild. More than one million people entered the EU illegally in 2015 and 2016, many of them fleeing conflict and extreme poverty in the Middle East, Asia and Africa. 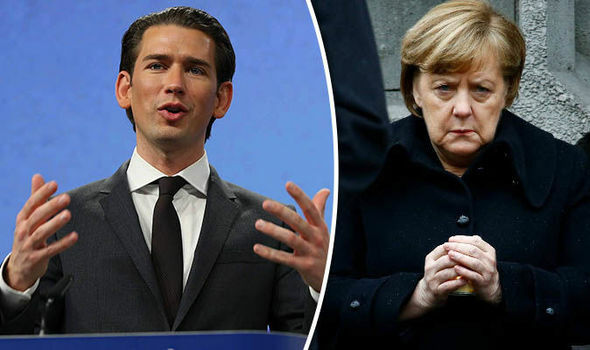 …Kurz, who before being elected Chancellor served as Austria’s foreign minister from 2013-17, has been a vocal critic of German Chancellor Angela Merkel’s open-door policy to refugees, saying it challenges the fabric of European society. At 31, he is the world’s youngest national elected leader. Kurz has instead proposed that the EU consider providing support militarily to refugees by establishing secure conditions in their countries of origin, (a policy known as “safe zones”). De-escalation zones, also known as “safe zones,” have been implemented in Syria since earlier this year. They represent areas in which warring parties agree to not engage in combat, consequently establishing a secure place for humanitarian groups to serve those displaced by conflict. Published at German news Deutsche Welle (dw .com) on December 24, 2017.
b) What is significant about the recent election of Sebastian Kurz as Chancellor of Austria? c) For what reason does Chancellor Kurz say the EU should consider alternate ways to address the migrant crisis? Be specific. d) What solution does Kurz propose? e) What are safe zones? f) Consider this: The United Nations is committed to: maintaining international peace and security, developing friendly relations among nations and promoting social progress, better living standards and human rights. Should the U.N. provide safe zones for civilians in any/all countries that are in the midst of a civil war? What role should the U.N. have taken in aiding the millions and millions of Syrians fleeing war in their country? or the millions of others entering Europe illegally to escape the poverty in their own countries? 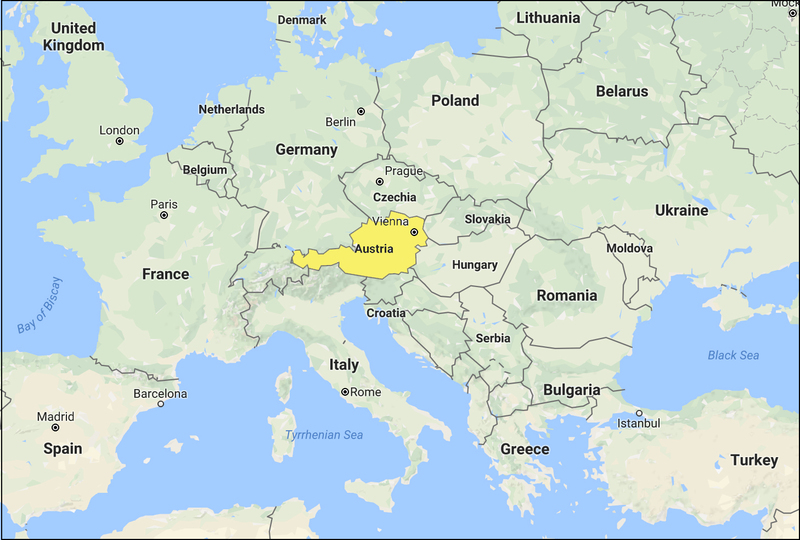 Between the summer of 2015 and spring 2016, Austria became one of the European countries most affected by the migration and refugee crisis. In 2015, more than 88,000 people requested asylum in Austria. In 2016, another 42,000 did so. In 2017, we have already received another 22,000 asylum requests. In the peak year of 2015, Austria counted the third highest per capita rate of asylum applications in the European Union – outnumbered only by Hungary and Sweden. Most of the applicants came from Afghanistan, Syria and Iraq. In 2015, the majority of refugees and migrants reached the European Union through Greece. Greek authorities were overwhelmed by the sheer number of people arriving at their shores. But they did not stay there. They were waved through to Central Europe at an increasing pace. As a consequence the “Western Balkans route” became increasingly easy to cross, creating a pull-effect which attracted further migratory flows. Social media and smugglers also played their role by spreading false rumours about life in central and northern Europe. It was not the first time in recent history that Austria admitted large numbers of persons seeking refuge; most notably in the wake of the Hungarian uprising in 1956, after the suppression following the Prague Spring in 1968 and during the wars in former Yugoslavia in the 1990s. This time was different. First, the sheer number of arrivals in such a short period of time – at the height of the crisis 10,000 to 12,000 people arrived at the Austrian border every day – stretched our admission capacities to the limit. Secondly, migrants and refugees this time did not flee from our immediate neighbourhood. They travelled through several safe third countries, including EU member states, before arriving in their country of choice in Central Europe. And thirdly, it very quickly became clear that a successful integration of so many people with a very different cultural background and often lower levels of education would present a huge challenge for our society. For me it was of utmost importance to regain control of the situation, speak out the – perhaps uncomfortable – truth and find solutions. It was therefore important that we managed to close the “Western Balkans route” together with our partners along the route in March 2016. It had almost immediately the intended effect of drastically reducing arrivals on Greek islands to less than 1,000 persons per day from previously 5,000 to 10,000 per day. While we managed to close the “Western Balkans route” last year, the central Mediterranean route remained open. More and more migrants chose this dangerous route. The numbers of arrivals rose steadily as did the number of persons tragically drowning in the Mediterranean Sea. In 2016 arrivals of migrants and refugees in Italy increased by 20%. In total 168,000 migrants and refugees arrived in Italy last year. In many cases NGO vessels operating in the area to rescue migrants from drowning in the sea, effectively became a ticket to Central Europe. Since then the situation has improved on the Central Mediterranean route thanks largely to significant efforts undertaken by Italy to manage the crisis. A newly introduced code-of-conduct for NGOs conducting “search-and-rescue missions” in the Mediterranean prevents them from doing so in Libyan waters and obliges them to cooperate with state authorities. Improved cooperation with the Libyan coast guard has also considerably contributed to preventing people from undertaking the often deadly journey. The migration crisis is not solved, though. In Austria we register asylum applications still above the pre-crisis level. An estimated one million migrants – mostly from Western and Sub-Saharan Africa – still wait in Libya hoping for their chance to cross the Mediterranean Sea to Europe. Migratory pressure will not decrease either. Africa’s population is expected to double in the next 30 years reaching 2 billion people. A robust control of the European Union’s external borders remains a prerequisite if we want to find sustainable solutions for the migration crisis. FRONTEX, the EU agency tasked with developing and coordinating the European border management, is increasingly becoming more effective. We need to further strengthen it for it to become a true European border and coast guard. Stopping and returning illegal migrants to their countries of origin must become standard procedure. In order to bolster our readmission policy the EU should use all instruments at its disposal, including the fact that it is the most important donor of development assistance worldwide. When necessary, the EU needs to apply the “less-for-less-principle,” if partner countries refuse to cooperate in readmitting their citizens from the EU. Resettlement programs should in turn allow those most in need of protection to find a safe and legal pathway to Europe. Currently the route to Europe is only accessible to those who are either fit enough for the journey or who can afford to pay a people smuggler. But it should be us, and not the people smugglers, who determine who is admitted to Europe. Last, but not least, we must use a more targeted approach in our development aid in the countries of origin and transit in order to tackle the root causes of migration, in close cooperation with the private sector. The migration and refugee crisis is far from over. We therefore have to continue to do our utmost to find sustainable solutions, showing our citizens the direct benefit of European cooperation.